6 oz cup that is approx. 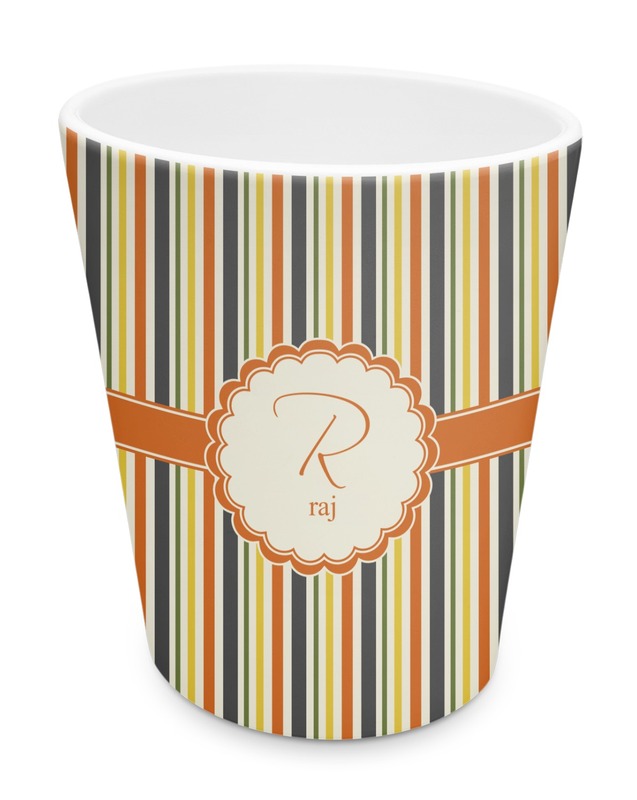 3" x 3" x 3.5"
These small 6 oz plastic cups are the bomb! 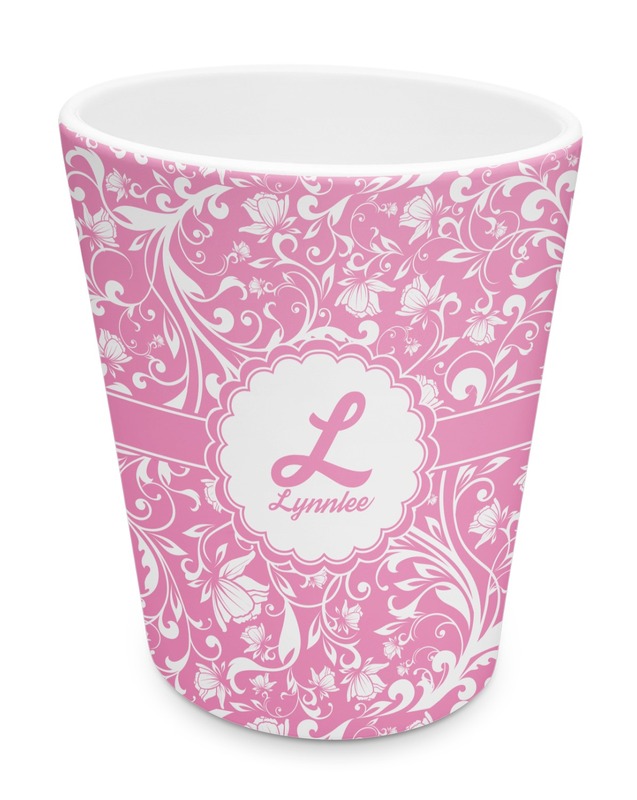 They are perfect as your bathroom tumbler, or as kid's glass at the dinner table. Since they're extremely sturdy and durable, they are perfect for anywhere you don't want broken glass! These cute little cups hold about 6oz of liquid and measure at about 3" x 3" x 3.5". 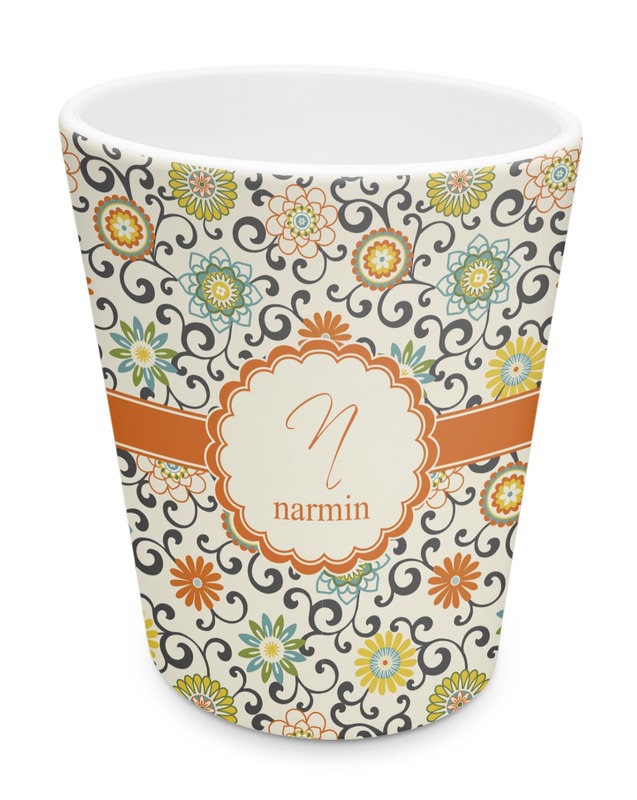 They work great as a rinsing cup to keep in the bathroom or as a dinner cup for your kids. They are BPA free and even dishwasher and microwave safe! The best part? They will withstand numerous drops and even temper tanturms! 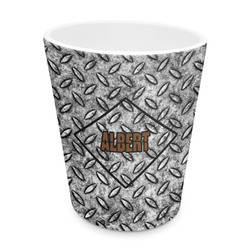 Go into our design center to start creating the perfect little cup. Change the colors, fonts, ribbons, and more! Have fun with it and make it yours! You'll find the perfect bathroom accessories set in our bathroom decor section! Going the other direction? Check out our microwave safe plastic plate and bowl to make a complete dinner set! I got this to coordinate with my other bathroom accessories. 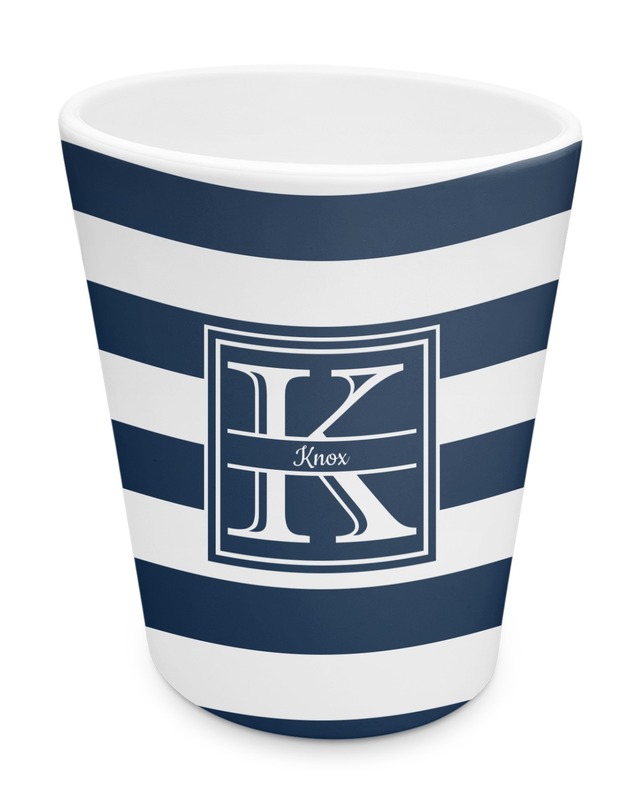 I have a monogram decal & knob on my medicine cabinet, cabinet decals & knobs on the lower cabinets, a tray for my perfumes, soap & lotion dispenser set, hand towel, bathmat and now this perfect little tumbler for taking my medicine at night! Got this for my husband. Will coordinate nicely with his hand towel and bathmat. It is the perfect size for when he takes his medicine!